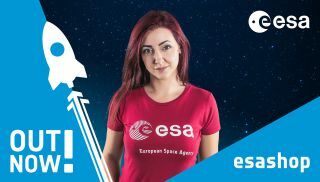 The European Space Agency has hopped on the Black Friday bandwagon this year and is giving customers 15 percent off of shirts, hats and other space swag in the gift shop this weekend (Nov. 24–27). Never mind the fact that Europeans do not celebrate Thanksgiving — an American holiday that kicks off the annual Black Friday shopping craze in the United States. The European Space Agency (ESA) didn't need an invitation to join in on this American tradition.